Sierra Leone is due to go the polls on Tuesday to pick a new president, but a court case could delay the vote following a campaign marked by violence and ethnic divisions. The West African nation’s 3.1 million voters will choose between the ruling All Peoples’ Congress (APC) candidate Samura Kamara and opposition Sierra Leone People’s Party (SLPP) contender Julius Maada Bio. Bio, a former junta leader, won by just 15,000 votes in the March 7 first round, but failed to attain the 55 percent of ballots needed to win outright, triggering a run-off. Turnout was over 80 percent. With the vote on a knife edge, the National Grand Coalition (NGC) and Coalition for Change (C4C), who together took just over 10 percent of votes, have not directed supporters to back either candidate. A rally by the ruling party in Freetown on Saturday attracted few supporters following a High Court decision to put the vote on hold as it considers an election fraud complaint by an APC-linked lawyer. Saturday’s order prevents the National Electoral Commission (NEC) from going ahead with the vote until “the hearing and determination of this court”, which will sit again on Monday. 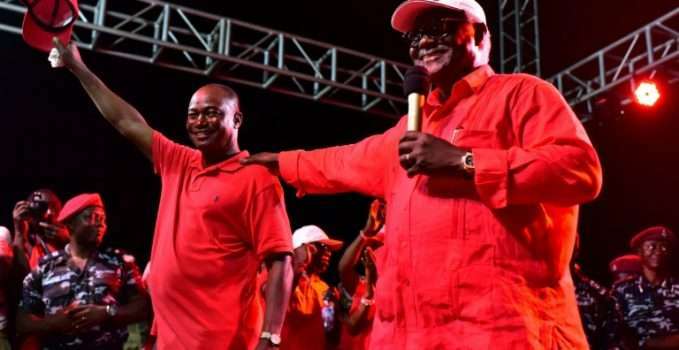 President Ernest Bai Koroma, who cannot run again after consecutive five-year terms, had anointed Kamara as his successor. International and domestic observers declared the vote credible, leading critics to accuse the APC of buying time through the courts. The opposition has already alleged that the police are puppets of the APC after they entered the NEC premises and interrogated staff this week, and say the party is now using the courts to try to derail the electoral process. 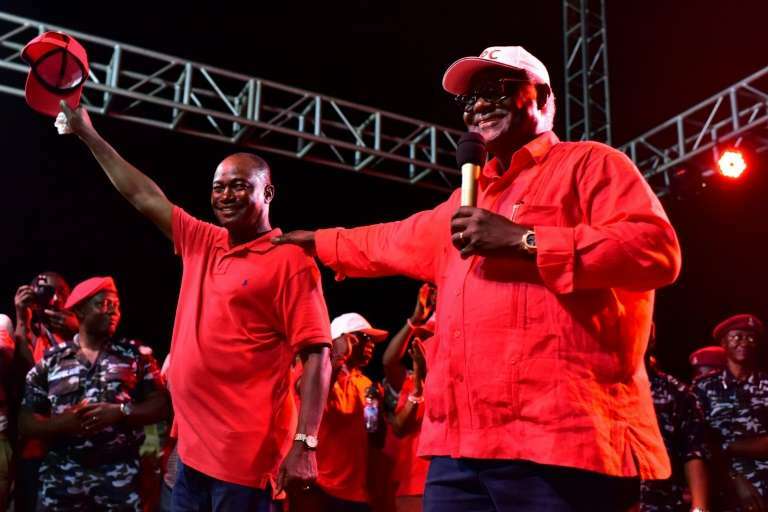 “All indications are that President Koroma will not hand over power without the involvement of the international community, as he has compromised the efficacy of all state institutions, including the judiciary,” an SLPP statement issued late Saturday said. Both parties have campaigned on similar anti-corruption and pro-education platforms, though Bio has used strong anti-Chinese rhetoric to condemn several APC-commissioned infrastructure projects. Police have raised concerns over violent attacks across the country in the days running up to the vote, condemning “growing political intolerance, politically motivated and targeted attacks on people”, which had contributed to a “deteriorating security situation”. “The onus is on every one of us to sustain our hard-earned peace,” outgoing president Koroma told the nation in an address broadcast on Friday. The security forces would “swiftly deal decisively with anyone responsible for these criminal acts, irrespective of their purported political parties, ethnicity and region,” he added. The APC broadly relies on the Temne and Limba people in its northern strongholds, while the SLPP is more popular in the south with the Mende ethnic group. Some candidates and supporters have used ethnic slurs at meetings and rallies. Regardless of who wins, the to-do list for Sierra Leone’s next president will be long. Koroma oversaw the country for a decade, during which Sierra Leone was hit by a slump in commodity prices for its exports and the 2014-16 Ebola crisis, which killed almost 4,000 people in the country. Poverty is endemic, education standards are falling with the majority of the population illiterate, and Sierra Leone is the poorest performing country in the world by some key measures including maternal mortality. 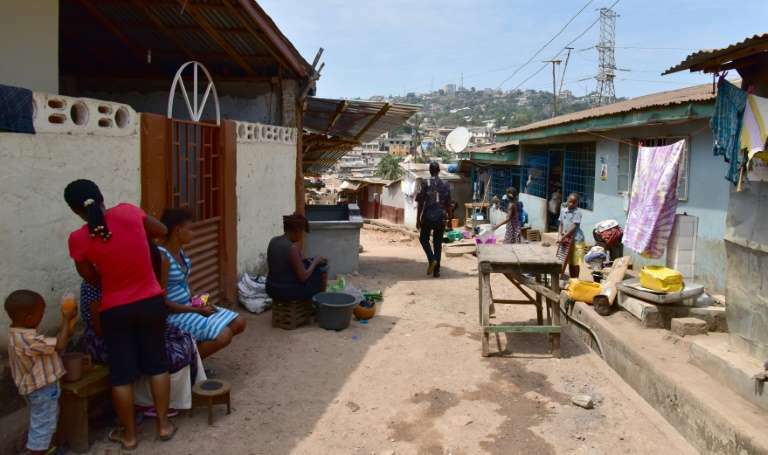 Sierra Leone emerged from a brutal civil war in 2002 and has remained largely peaceful since then, despite occasional flare-ups around election time.